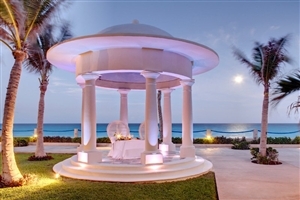 Fringed by the pristine white sands of Cancun’s internationally-famous beaches and lapped by the warm waters of the Caribbean Sea, the Occidental Tucancun resort offers elegant, family-friendly hospitality in a magnificent exotic setting. 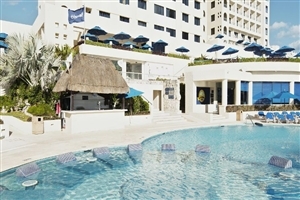 A fabulous four-star hotel in a privileged location, the Occidental Tucancun comprises of modern, spacious guestrooms for the whole family to enjoy, while facilities include a four restaurants, five bars, watersports activities, swimming pools and a pampering spa. 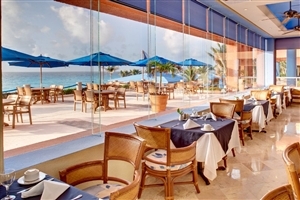 Found on the north-eastern tip of the Yucatan Peninsula, Occidental Tucancun is a superbly located all-inclusive Mexico resort in Cancun’s reputed ‘hotel zone’. 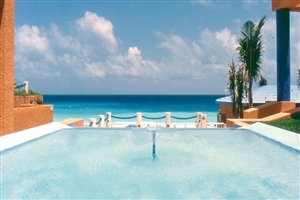 Occidental Tucancun magnificent position means it is fringed by the sparkling Caribbean Sea on one side and the calm Nichupte Lagoon on the other, creating a unique setting for a dream Caribbean holiday. 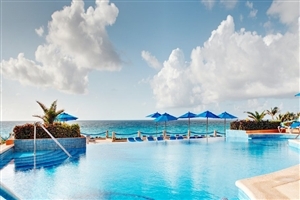 Ideal for individuals, couples and families alike, Occidental Tucancun appeals with its thoughtful facilities, including an on-site spa, three swimming pools and a fantastic Kids Club. 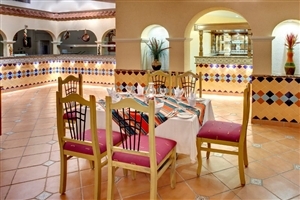 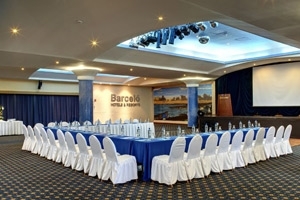 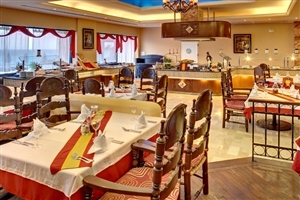 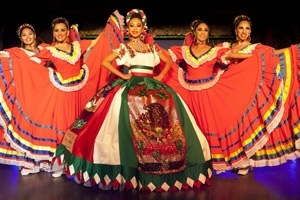 Occidental Tucancun is 25 minutes from Cancun International Airport ad 25 minutes from the centre of downtown Cancun. 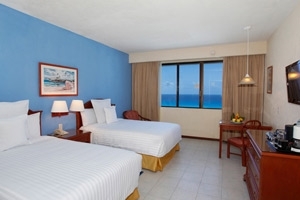 The Double rooms at Occidental Tucancun offer 35sqm of accommodation space are available with a king-size bed or two double beds and can be specified with garden, ocean, lagoon and sea views. 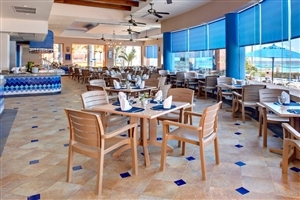 The Double Ocean Front at Occidental Tucancun offer 25sqm of accommodation space has been styled in a contemporary Mexican style and includes a spacious terrace with ocean views and a king-size or two double beds. 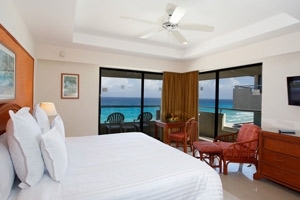 The Suite Front Ocean View at Occidental Tucancun offers 80sqm of accommodation space, including a separate bedroom and living area, plus views of the Caribbean from the terrace. 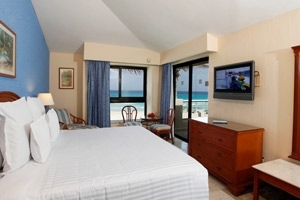 The Family Ocean Front at Occidental Tucancun offers 126sqm of accommodation space and comprises of two bedrooms, a kitchenette, living area and a dining room. 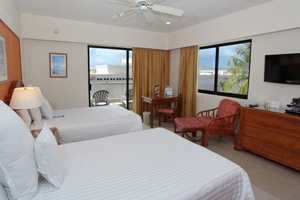 The master bedroom includes a king-size bed, while the second bedroom offers two double beds.